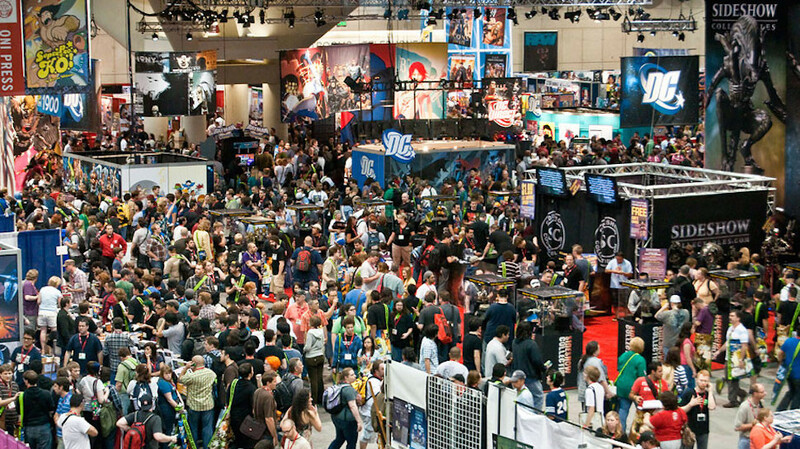 Building on its tradition of offering an unbeatable assortment of toys for collectors of all ages, Toys“R”Us has revealed its full lineup of exclusive items available at the highly anticipated Comic-Con International in San Diego taking place Thursday, July 24 through Sunday, July 27. 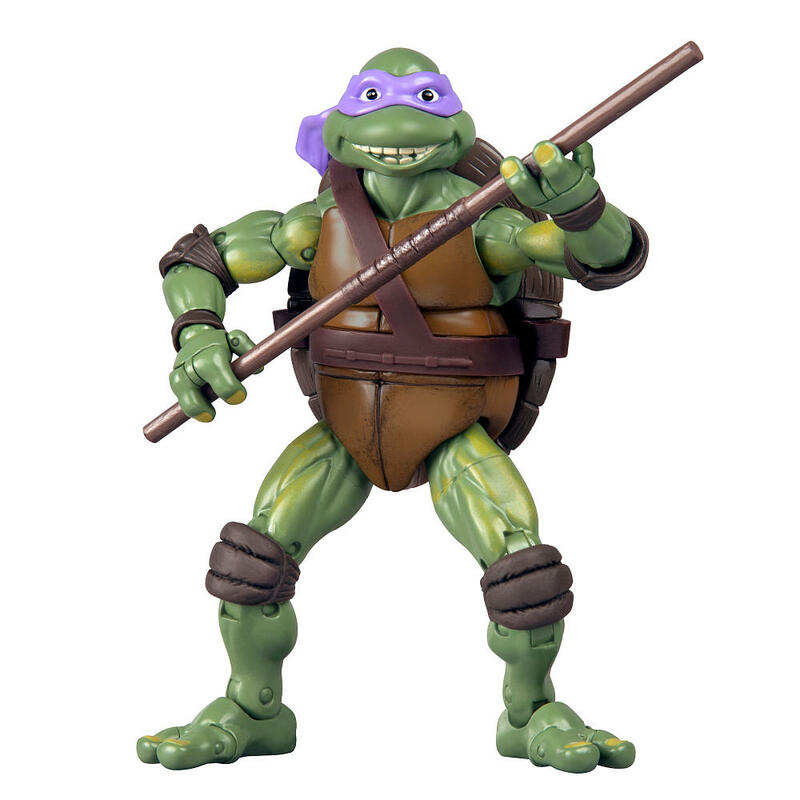 Conventioneers will find must-have merchandise based on fan-favorite series, including My Little Pony, Teenage Mutant Ninja Turtles, TRANSFORMERS and more at the Entertainment Earth booth (##2343). Toys“R”Us will also provide convention goers the opportunity to be among the first to purchase exclusive merchandise not yet available in stores, such as MINECRAFT Creeper Anatomy, MY LITTLE PONY EQUESTRIA GIRLS ZECORA and TRANSFORMERS Masterpiece Prowl, among others. These first look items will become available in Toys“R”Us stores nationwide later this year. Fans unable to journey to San Diego this year will also have the opportunity to purchase select items online at Toysrus.com/ComicConvention beginning at 10am EST on Thursday, July 24. All merchandise is available while supplies last, so fans should visit Entertainment Earth at booth #2243 or Toysrus.com/ComicConvention early to make purchases. 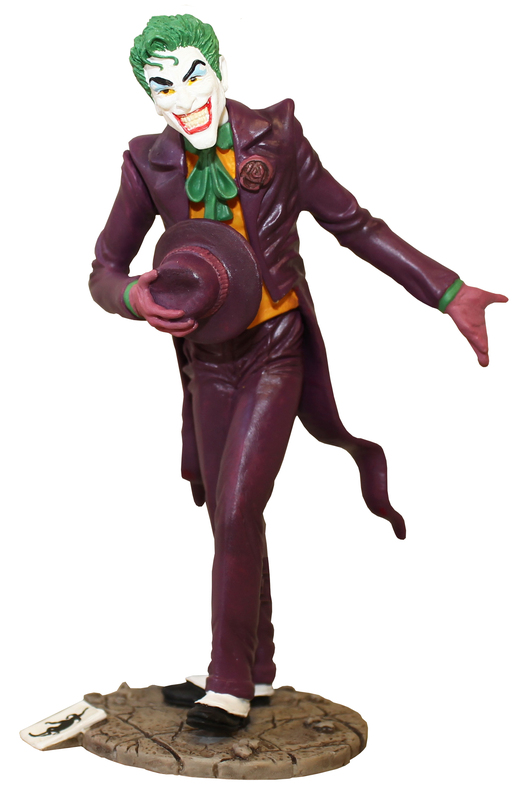 From the new DC Comics Collection comes a Toys“R”Us exclusive Joker figure. Celebrating Batman’s 75th anniversary, this highly detailed figure is the first in an all-new line of collectible figurines based on DC Comics iconic characters and will be available for conventioneers for $10. 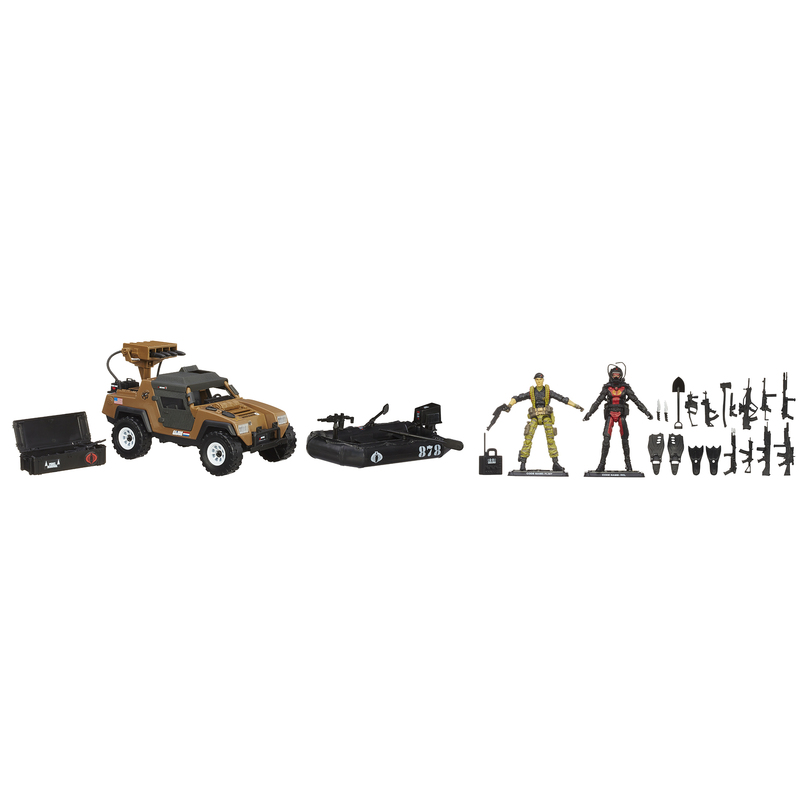 Flint is armed and ready to stop the Cobra Eel Trooper from slithering onto shore from the sea in this detailed vehicle set. Flint will chase him down in his V.A.M.P. MK-II Multi-Purpose Attack Vehicle, but the Cobra Eel Trooper has a fast Night Raft to help him make his escape. Fans can find out who prevails in the fast-moving Cobra-G.I. duel for $30. 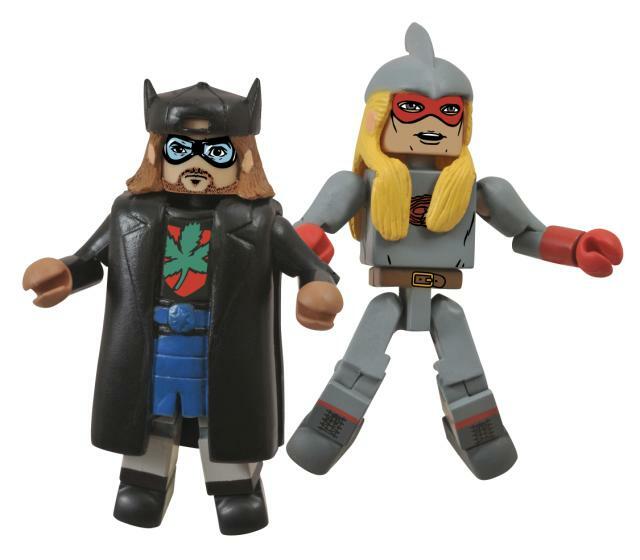 The comic book heroes created by director Kevin Smith and featured in Jay & Silent Bob Strike Back are now available in the form of Minimates mini-figures. This Toys“R”Us exclusive 2-pack set is based on the characters’ distinctive comic book appearances. 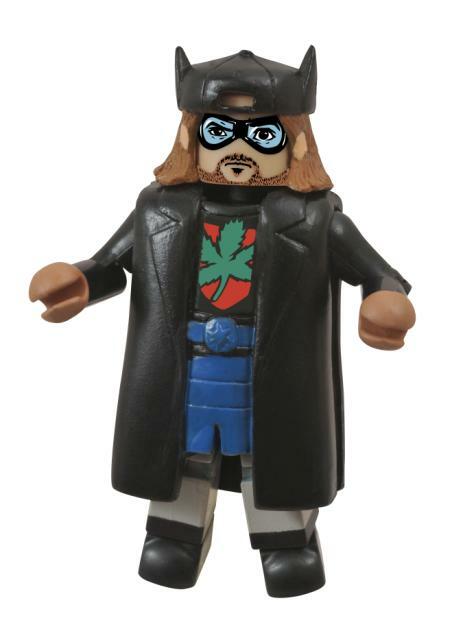 Each Minimate stands 2-inches tall and has 14 points of articulation, along with a variety of interchangeable parts. Convention goers can purchase this Diamond Select Toys™ item, which is designed and sculpted by Art Asylum, for $10. Fans of the moviecan recreate and relive the fierce and exciting battle scene from the hit Disney film Maleficent with this highly detailed doll. Maleficent is ready to seek vengeance, but is still stylishly dressed in a fitted black body suit with knee high boots, dramatic black wings and elegant horns. This Toys“R”Us exclusive, true-to-character doll can be purchased by fans for $30. 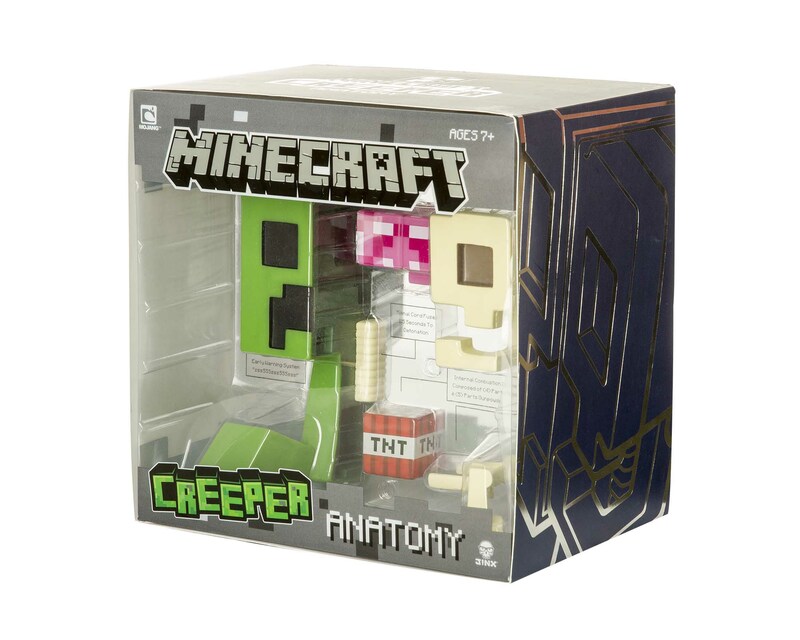 The most iconic MINECRAFT™ enemy comes to life as this premium vinyl figure. Kids will love discovering what makes this exploding monster “tick” by dissecting and re-assembling its body, skeleton and “TNT” core. Perfect for collectors, this one-of-a-kind item features a window display packaging with foil printing, including detailed info regarding the creature’s anatomy. Convention attendees can sneak home with this item for $40. 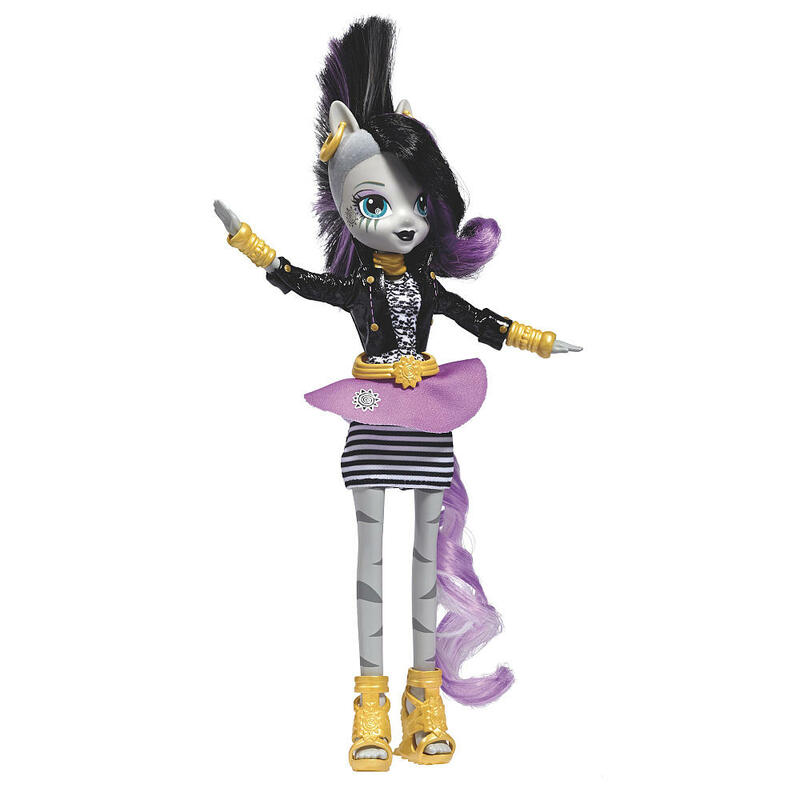 Full of high-style and fashion secrets, EQUESTRIA GIRLS ZECORA is a true punk rockstar. With wild hair, sassy boots and a dramatic outfit, ZECORA is on-trend and ready to rock out with her pony friends. Complete with a clip-in ponytail, fans can dress ZECORA up to create the best EQUESTRIA GIRLS look ever. 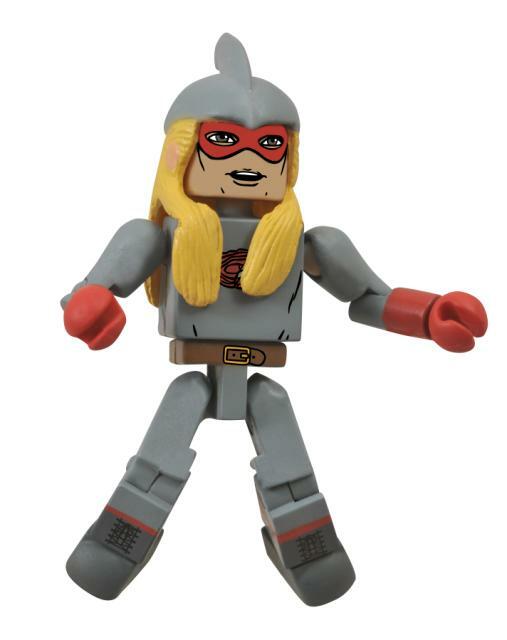 This collectible figure can be purchased for $20. Convention goers can be a part of the “Ponymania” with this electronic QUEEN CHRYSALIS pony. This royal pony wants to take over Equestria, and only the magic of friendship can stop her. 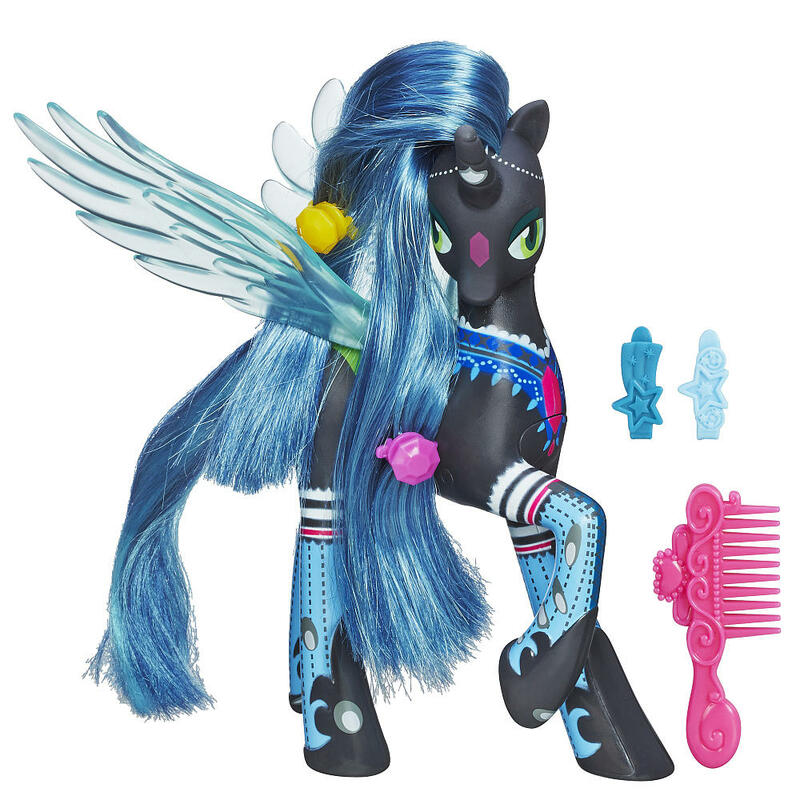 QUEEN CHRYSALIS talks as her blue wings illuminate and move, and her blue mane can be styled with the included comb and barrettes. This pretty pony can gallop home with fans for $25. The original Mighty Morphin’ Power Rangers come to life in this collectable 5-inch figure. 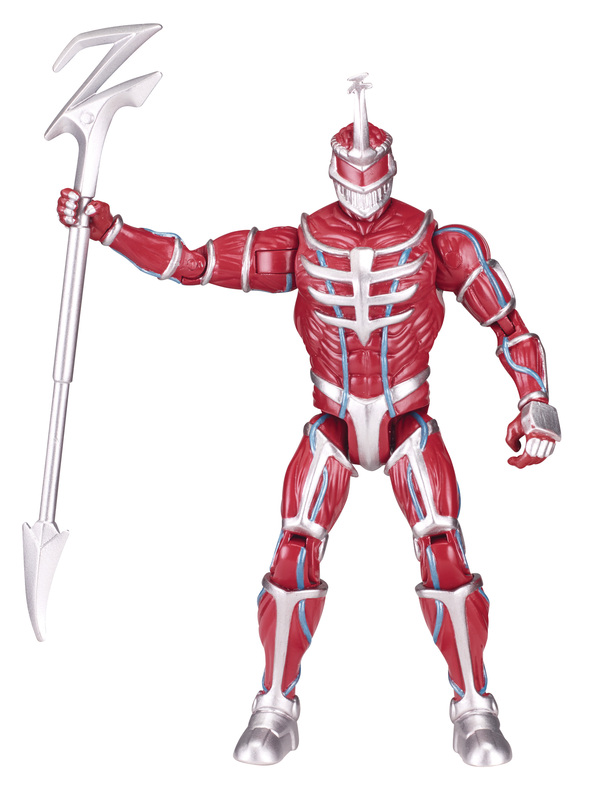 Highly detailed to include show-accurate styling, Lord Zedd comes with multiple points of articulation and muscular, heroic design, and is perfect for play or to put on display. Complete collectable legacy packaging styled after the original Mighty Morphin’ figures released by Bandai America in 1993. This figure is available to Power Rangers collectors and kids for $20. Recreate the biggest Star Wars™ battles with figures from The Black Series. Han Solo and Greedo face off in the Mos Eisley Cantina. Han has been dodging the bounty hunter for a long time, but at last Greedo has tracked him down. This set includes two highly articulated 6-inch figures that are part of the ultimate Star Wars collection. 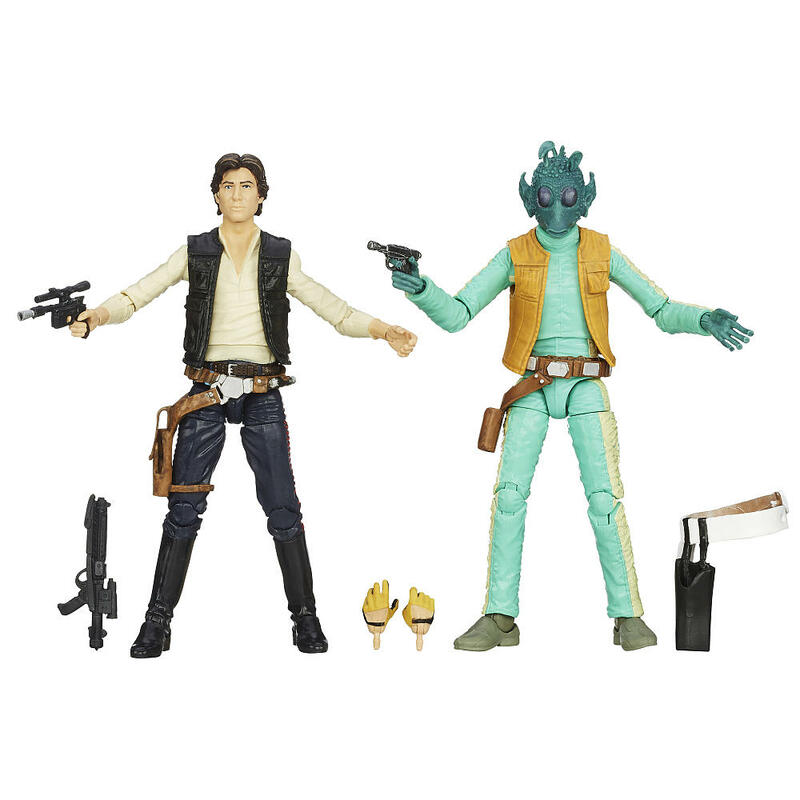 Both figures have holsters and blasters, and the Han Solo figure has an extra set of hands. Star Wars fans can add this to their collection for $40. 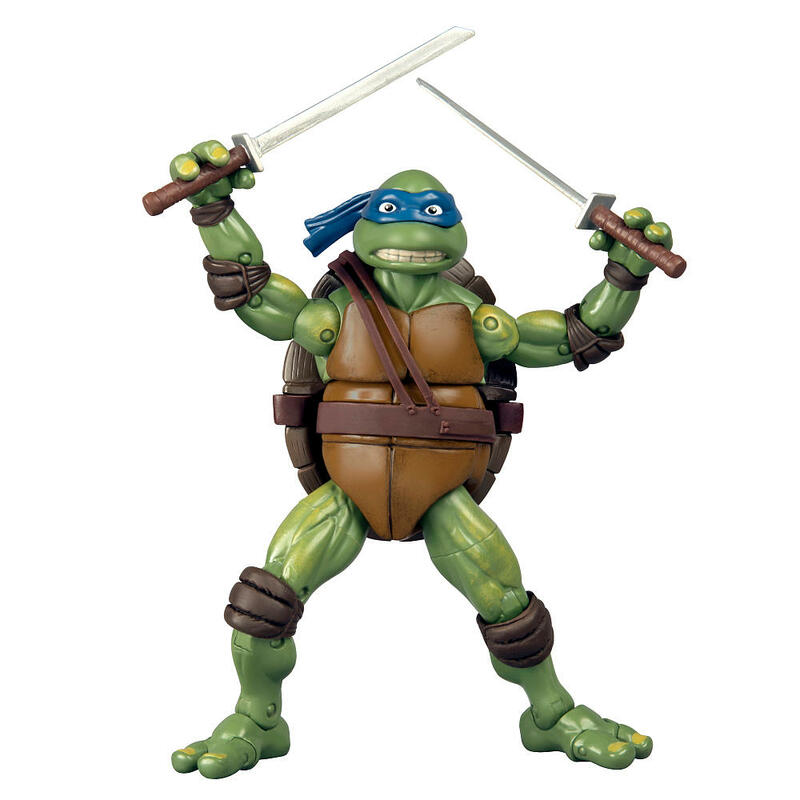 Available for the first time, these classic figures are based off the original Turtles character costumes created by Jim Henson Productions for the classic 1990’s Teenage Mutant Ninja Turtles® movie. 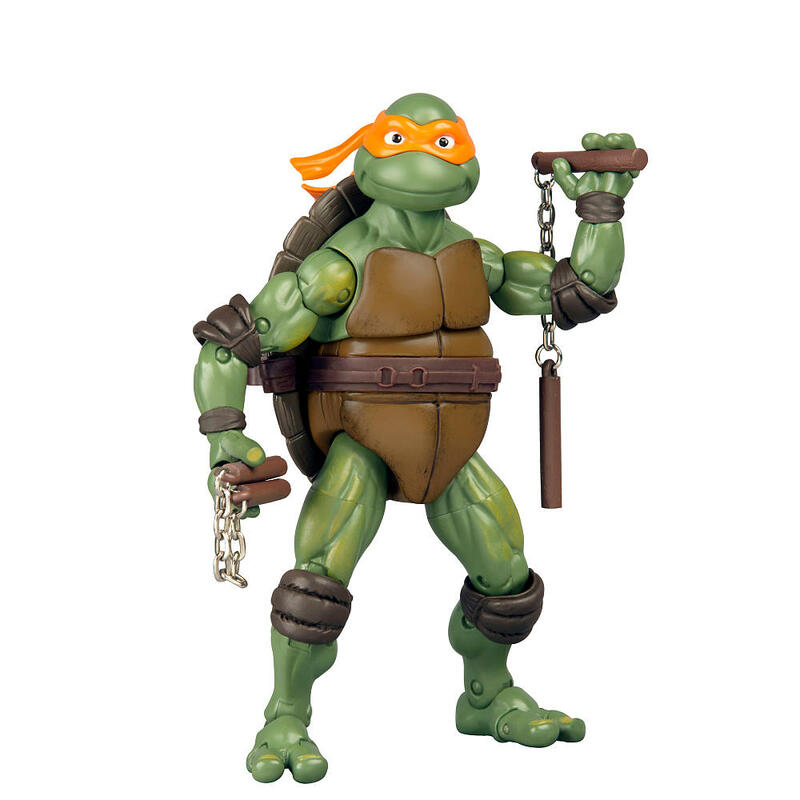 With 34 points of articulation, signature weapons and a personalized sewer lid name plate, they are a perfect re-creation of the old school Turtles that busted onto the movie screen and changed the Turtles world in a big way. 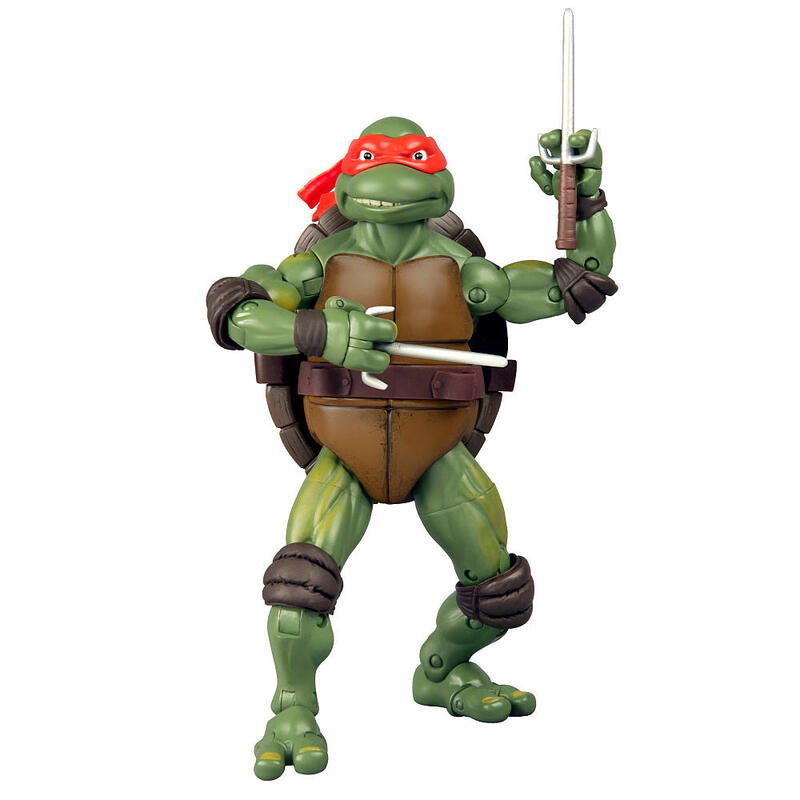 Fans can take home these fun-loving and pizza-eating teen Turtles for $20 each. 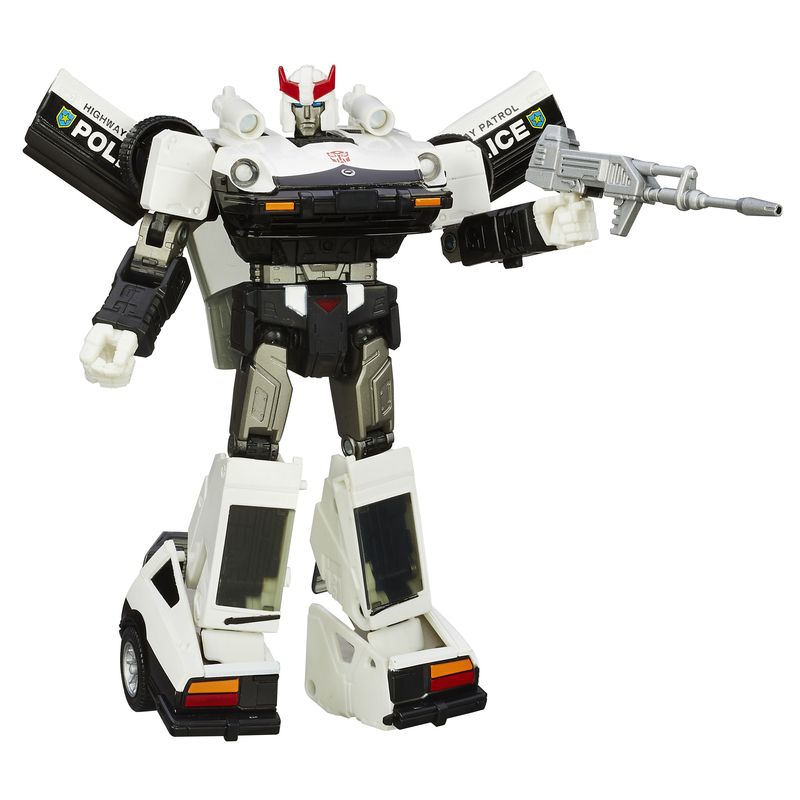 Prowl is a clear thinker who is able to see beyond the chaos of battle and discover the rational route to victory. 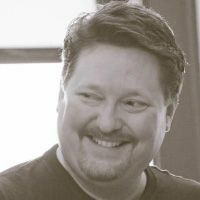 His logic center is the most sophisticated in the Autobot army, capable of analyzing complex combat situations and making strategic decisions almost instantaneously. Unexpected events have been known to briefly scramble his circuits, but there isn’t much this Autobot doesn’t see coming. As much as his fellow Autobots would like to see Prowl loosen up and crack a joke once in a while, they recognize that what makes him so brilliant on the battlefield is what makes him so disciplined off it. Conventioneers can take home this sneak peak item for $70. Fly too close to the sun and get burned. Get too close to Sunstorm, and get dissolved into a puddle of liquid scrap. Autobots beware, because this ultimate Decepticon flier is on the hunt for someone to fight. He converts from robot mode to fighter jet mode, and in either mode he’s armed for major combat. His canopy and nose cone open in jet mode, and his hidden missile pods deploy when he gets an Autobot in his sights. And, don’t forget to set him on his stand when the fight is over for the day. Fans can get this high-flying Decepticon with incredible battle features for $80. All Toys“R”Us exclusive items are limited editions and will be available on a first-come, first served basis, while supplies last.